Nicki Chapman is now best known for presenting such programmes as the BBC’s Wanted Down Under and Escape to the Country. Instantly recognisable and hugely likeable, Nicki’s is in constant demand as a TV presenter and radio host. A gifted speaker and highly skilled event host, Nicki brings a real sparkle to every event. She is still heralded as one of the music business’s best known PR’s working with Bowie, Take That and The Spice Girls amongst others. And she is an event booker’s dream speaker and host. 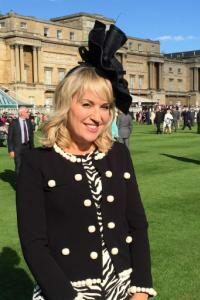 To enquiry about Nicki Chapman please contact us. 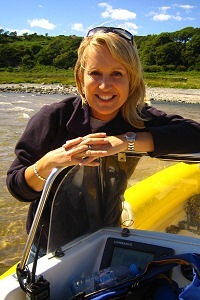 Nicki Chapman was born in Canterbury, Kent and spent her childhood with her parents and sister by the sea in Herne Bay. After leaving school at 16 and spending three years at the local college, wanderlust encouraged Nicki to spend 8 months in Australia. She only returned to the UK to follow her dream of actually emigrating to Oz. However, whilst waiting for her visa, the lure of London and the music industry beckoned, changing her path forever. At 21, Nicki worked her way up in the music industry starting off as a Promotions’ Assistant at MCA Records, and quickly became one of the youngest publicists in the industry. She then moved to RCA Records as Head of TV Promotions where she began a long association with Simon Cowell. From 1995 until the end of 2000 she was a joint partner in the Brilliant! PR. The company represented among others, the Spice Girls, Annie Lennox, Charlotte Church, Take That, Phil Collins, Billie Piper, David Bowie, Van Morrison and Amy Winehouse. They also did the PR for the BRIT Awards and the Big Breakfast. It was during this time Nicki was approached by ITV to judge a brand new entertainment show called Popstars (2000), alongside the now infamous ‘Nasty’ Nigel Lythgoe. The resulting band were called Hearsay and went on to sell over a million copies of their first single ‘Pure and Simple’. Having met and worked with Simon Fuller in the nineties she joined his management company, 19 Entertainment in January 2001 as Creative Director. She worked with acts including Annie Lennox, Will Young and S Club 7. Nicki continued her role as judge on ITV/19’s Pop Idol, reuniting with Simon Cowell and alongside Pete Waterman and Dr Fox. Nicki has presented numerous factual/entertainment programmes. These include the BBC’s City Hospital, Escape to the Sun, The Morning Show and Sunday Style. She also presented Castle in the Country, BBC Breakfast News on location, Holiday, Holiday 10 Best, Holiday’s at Home, The Day Team at Chatsworth. She is however best known for presenting the RHS Chelsea Flower Show, Wanted Down Under and Escape to the Country. For Sky 1 Nicki was involved in Made in LA as well as for ITV1 Soapstar Superchef and Best Ever Worst Auditions. Nicki and ‘Nasty’ Nigel danced together as ‘Fred & Ginger’ in 2001 on BBC1’s Children In Need. Similarly Nicki was one of twelve celebrities who took part in BBC1’s Sport Relief show jumping programme Only Fools on Horses, coming second. She also partnered Christopher Biggins on Let’s Dance for Comic Relief. In 2008, Nicki joined her fellow ex-Pop Idol judges Pete Waterman and Neil Fox on Peter Kay’s Britain’s Got The Pop Factor … And Possibly A New Celebrity. She also appeared in 2009 as a judge on Disney Channels Hannah-Oke along with Disney’s Brad Kavanagh and Dancing on Ice judge Jason Gardiner. She is on the steering committee for Sport Relief and has travelled to Uganda and Ghana for the charity. Nicki’s interests are ‘car booties’ (guilty pleasure), the gym, movies, travelling and gardening. She has a passion for Elizabethan history and novels, celebrity gossip and is currently branching in to Radio too – she recently presented a series of world exclusive programmes on BBC Radio 2 about the entrepreneur and music manager Simon Fuller. Nicki Chapman married Music Executive Dave Shackleton (Shacky) in July 1999 and they currently live in West London. My Life In The Music Industry – From leaving school at 16 and working my way up through the music industry, working alongside such acts as Take That, Robson & Jerome, the Spice Girls, Kylie, David Bowie, Phil Collins, Annie Lennox, Van Morrison with accompanying anecdotes..
Or a mix of all three! 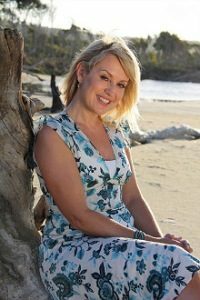 Nicki Chapman’s enthusiasm and naturally engaging charisma captivated our young female equestrian athletes as she told her story of starting in the PR Industry and then going on to manage household names in the music industry as well and carving a successful career in the media. The consummate professional, Nicki researched her audience and the requirements of our brief and delivered a key note presentation that will have had a lasting positive impact on this group of riders. ITV – Pop Idol, Soapstar Superchef and Best Ever Worst Auditions. BBC – City Hospital, Escape to the Sun, Children in Need, The Morning Show, Sunday Style, Sport’s Relief’s Only Fools on Horses, Castle in the Country, BBC Breakfast News on location, Holiday, Holiday 10 Best, Holiday’s at Home, The Day Team at Chatsworth, the RHS Chelsea Flower Show, Wanted Down Under and Escape to the Country.